Is regular downtime and hacking incidents affecting your website and your business? 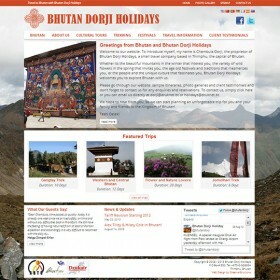 Welcome to Drukhost’s Bhutan Web Hosting Service. We believe that every website needs a web host that can provide the uptime and the security the website deserves. Drukhost has been providing web hosting service since 2006 and is growing rapidly. 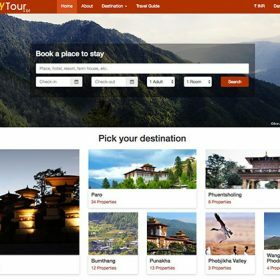 We have more than 1000 Bhutanese websites and businesses that can vouch for our rock solid service. From blazing fast servers to on-time customer support, we have come a long way to be known as one of the best web hosting providers in Bhutan, and to top it off, our web hosting costs will not burn a hole in your pocket. Our hosting plans start from Nu. 1,200 per year. Have a problem with your hosting/server? We are just a phone call/email away. With a maximum response time of 24 hours, we have been known for our lighting fast support in resolving customer issues. What’s more? You can even visit us in our office to get help with your hosting problems. Unlike many other hosting providers, we do not resell third party services. That means your website is hosted on our dedicated servers managed by our own experienced team. If there is an issue with the server, rest assured it will be resolved quickly. There’s no time wasted waiting for third party support. We take care in choosing the best servers. Our current servers are powered by the latest Intel Haswell Xeon processors packed with way more than enough RAM and fast SSD drives in redundant RAID arrays. Primary servers are located in a well known data center in Texas, USA and the backup servers are located in London, UK. All servers come with 1 Gbps premium network uplink. Is your website getting compromised because of other insecure accounts on the server? 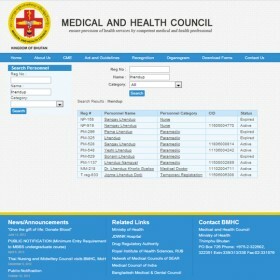 Host with us and forget about getting hacked due to other’s negligence. Our servers are properly secured and all accounts on the servers have complete isolation from other accounts. Unless your website itself is not secure, it will not be compromised due to our server or other insecure accounts on the server. Your data will be backed up automatically to a different server in a different geographic location than the primary server. You can now have that peace of mind knowing your data will be safe no matter what happens. Our hosting plans come with the popular cPanel control panel that lets you easily manage every aspect of your account. It also comes with the Softaculous script installer that lets you install many open source softwares (eg: WordPress, Joomla, Drupal) at a click of a button. We do not oversell our resources like most other web hosts that promise unlimited resources. With us, you get everything that you pay for; Bandwidth, disk space and equally shared RAM & CPU resources.